Most of us tend to have a pretty steady repertoire of recipes and standby ingredients, yet a vegbox means embracing surprise vegetables, finding out what they are and how to cook them, and being prepared to get stuck in and have a go – now that’s the spirit of adventure! At Sutton we went to considerable lengths to try to lower these hurdles – for example, by allowing people to state what they dislike so we can fish that veg out and replace it with an alternative, or allowing people to make weekly, fortnightly, three-weekly, monthly or just-once orders – an administrative and logistical headache sometimes, but worth it in order to make the scheme as accessible as possible. But even with that, I think it’s hard to overstate what formidable hurdles these are in persuading new people to join. For customers to make these changes to their lives – usually for selfless motives around the environment and the local economy, though often also for the health of themselves and their family – I find very impressive. One of the best bits of my job was talking with these wonderful customers about vegetables! Thank you all for your passion, your questions, your knowledge and your support – it gave real meaning to the work. That this needed saying at all demonstrates how rare this is inside the M25. London may never feed itself entirely, an may not need to, but a higher level of food self-reliance will almost certainly benefit us and the planet, and be necessary, particularly as oil prices and transport costs inevitably continue to rise. So here’s hoping that the concept of Sutton Community Farm becomes much more ordinary and much less surprising very soon. Working on a vegbox scheme means you inevitably take an interest in the other schemes out there – partly as (friendly) competitors, partly because it’s always useful to learn from each other (and the lovely thing about the London growing scene is that sense of collaborative sharing of resources and experience). But it quickly became clear that few of them manage to do as much as Sutton Community Farm does in terms of what I suspect customers are looking for in a vegbox scheme. My guess is that customers’ motives for signing up include wanting vegetables that are grown in an environmentally sound way, that are as local as possible in order to protect the environment and support the local economy. So it was a surprise to find that some vegbox schemes (particularly the larger, corporate-branded ones), are happy to fly or freight in veg from around the world. At least one box scheme I came across in south London doesn’t attempt to source from local farms at all and simply buys its produce from the wholesalers at New Covent Garden Market – which begs the question: apart from the convenience of home delivery, why bother? 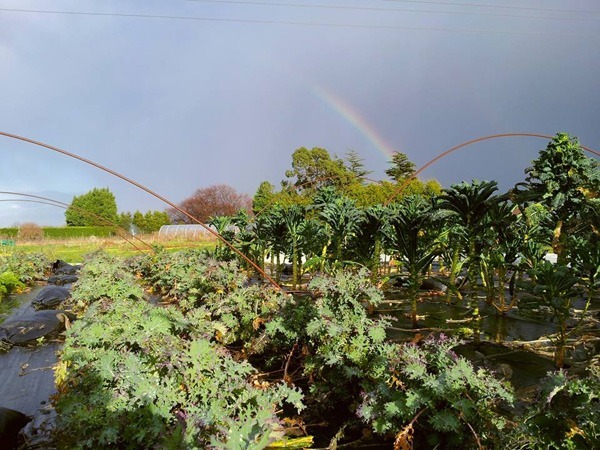 So on this score, Sutton Community Farm really stands out: the produce is local, with a lot of it grown on the farm itself, most of the rest coming from London’s nearest counties and absolutely definitely 100% of it from the UK only. None of it is grown with pesticides or chemical fertilisers. All of it is seasonal. And the farm has created local jobs. It was shocking to realise how rare it is for a vegbox scheme to do all of this. 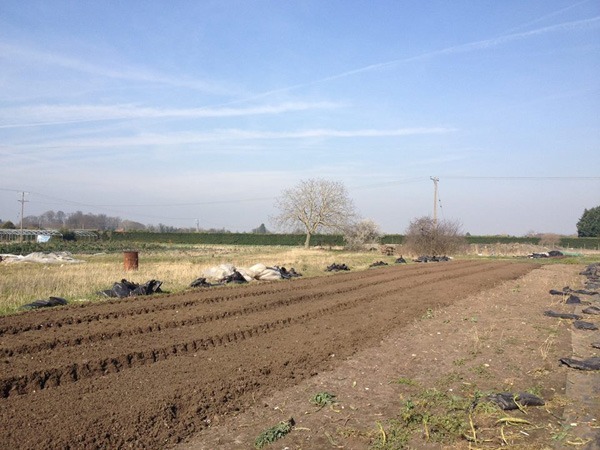 And it’s worth repeating: some vegbox schemes grow nothing themselves, acting only as middlemen for Kent, Essex or Sussex farms – a valuable role in itself, of course, but nothing like what Sutton Community Farm achieves. Others specialise in, for example, growing salads, but buy in everything else. Or rather, maybe I do. At points I’ve been simultaneously blown away by the wonderful, committed troop of volunteers who help make Sutton Community Farm what it is – and downcast that we literally wouldn’t be able to operate without them. 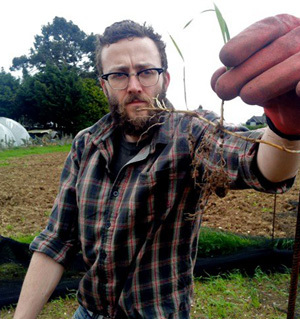 I began with the attitude that we should really be able to operate as a viable business without this almost-free labour ‘subsidy’ – that part of our role should be finding a model by which community-scale, ecologically-sound farming could work without relying on volunteers. However, I’m beginning to feel that this thinking was too economically orthodox; that food holds such as a fundamental role – in sustenance, in societal well-being, in culture – that perhaps we shouldn’t try to prove ourselves under the rules of economic and business orthodoxy. Perhaps instead it should be something produced by truly communal effort, fueled by goodwill and co-operation and its produce at least partly shared in an off-the-books way as exemplified by our volunteers knowing that they can go home with a share of the harvest in return for their wonderful contributions. I’m realising that this is not a failure but a success. We don’t need to change our way of growing food to fit economic strictures – maybe we need to change instead how we perceive food’s place in society and economy: less as commodity, more as community.